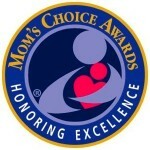 Ansel & Clair: Jurassic Dinosaurs wins a Silver Medal in the Mobile Apps category by Parents’ Choice Foundation, “the nation’s oldest nonprofit guide to quality children’s media and toys”. 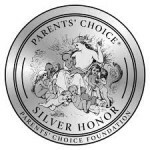 The Parents’ Choice Silver Honors are given to excellent products that, like the Gold Award winners, are designed to entertain and help children develop universally ethical attitudes, and rigorous standards and skills. Silver Honors come in a high second with one or more evaluating groups. Silver Honors are highly prized-like the Gold Awards-for production and human values. 5 Stars – Extraordinarily Engaging! For littles fixated on prehistoric beasts, Ansel & Clair provides the ultimate guides and interactive features. Adults will geek out, too, as they play with the allosaurus, stegosaurus, brachiosaurus, and more. Just be prepared for your budding palentologist to spout even more facts. For the younger set, where better to start than to go back in history and learn about dinosaurs? Children can help Ansel the alien and Clair the robot dig for fossils and put dinosaur bones together, then learn facts about 7 different dinosaurs. They can stop at the basic facts or go on to learn more. They can take pictures of each dinosaur and place them in a photo album, and create and name a dinosaur of their own. This app is part of a series of Ansel and Clair dinosaur apps by Cognitive Kid. You may also want to check out their apps for the Cretaceous and Triassic periods. They’re appropriate for children from pre-readers up to about 10 years old. 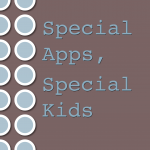 This is a fabulous series of apps that kids of all ages will love. Ansel and Clair are space aliens who travel to different times in history With apps such as Ansel and Clair Jurassic Dinosaurs and Ansel and Clair Ride with Paul Revere, your child is sure to find one that they love. The games are interactive and the graphics have received excellent reviews. My 9 year old and 5 year old kids love all of the Ansel and Clair apps- they keep playing them over and over- they have completed each app but they continue to play anyway- the developers have managed to make learning really fun! From a former history-phobe, believe that you will learn facts by playing with this app, and amazingly, you will have fun. 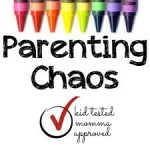 This is an app I enjoy playing with my kids.